Deconstruction is so labyrinthine (and rumored to be fatal) that it�s become the monster that murdered philosophy. When Jacques Derrida, the father of deconstruction, uses buzz-words such as �phallogocentrism� and �transcendental signified,� humanities students and aspiring philosophers may get weak in the knees. 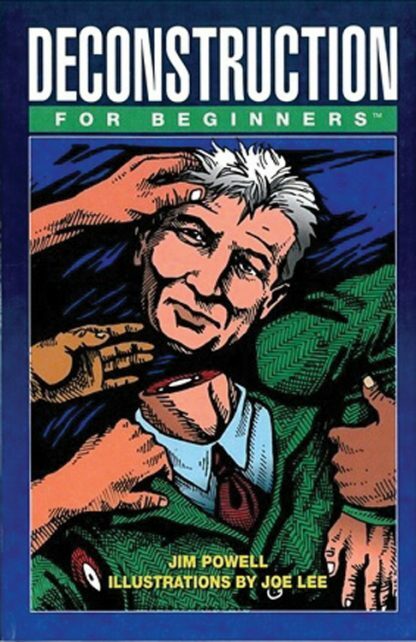 Following up on the success of Derrida For Beginners, Jim Powell�s Deconstruction For Beginners is an irreverent romp through deconstructive domains. Though Powell offers lucid explanations of the most important deconstructive ideas and texts, he also dive into lesser known works. One of these, The Right to Look, finds Derrida offering his thoughts on a photo-novella consisting of images of women making love with each other. Powell then goes on to explore how deconstruction, like an unruly mistress, has escaped Derrida, especially in the realm of architecture. Then, based on Derrida�s assertion that deconstruction happens differently in different cultures, Powell examines how � through Buddhism and Taoism � deconstruction took place in ancient India, Japan, and China. Jim Powell lives in Santa Barbara, California where he enjoys surfing, writing, playing piano, and painting. His other books include Mandalas: The Dynamics of Vedic Symbolism, Energy and Eros, The Tao of Symbolism, Eastern Philosophy For Beginners, Derrida For Beginners, and Postmodernism For Beginners<?I>. Jim has a Master�s Degree in Religious Studies with an emphasis on Sanskrit and Indology. His thesis was on Vedic mythology. He also holds a Master�s Degree in English Literature and wrote a thesis on Mark Twain�s relationship with the Mississippi River..